I grew up in restaurants. My dad was a restauranteur and we had a few, he liked the process of starting them, but would get bored soon after and sell it to start a new one, some are still going today. 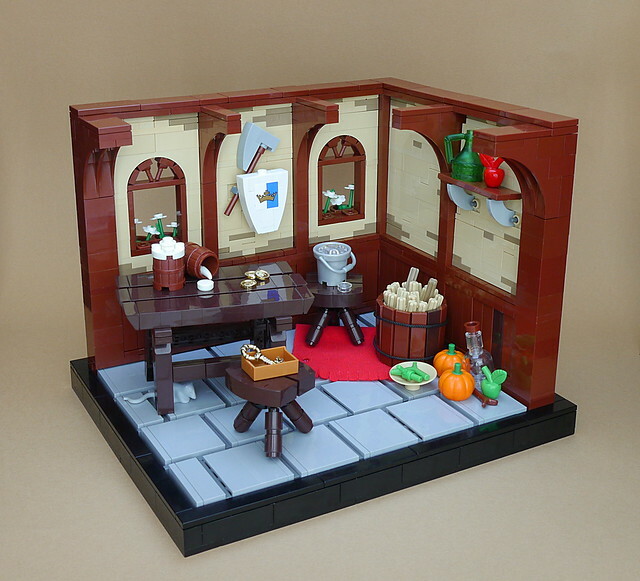 When I looked at this brilliant interior vignette by builder MarcelV I was reminded of those mornings when the place was quiet, there was a bit of a mess from the night before and it was time to start the day. After a bit of clean up and kitchen prep, it would be time to open the doors once again, but for now it was quiet. It was a peaceful time, with wonderful smells, good stories and camaraderie.